In 2012 Acme Truck Line created an outreach called ‘Reading Time Out’, a program promoting reading and literacy. Acme teams up with the New Orleans Pelicans visiting elementary schools in the New Orleans area. Reading Time Out provides an interactive reading experience, bringing together the worlds of sports and literature. 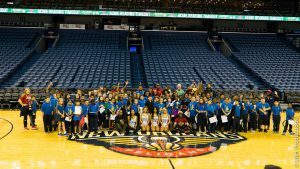 Each school visit is a collaborative effort between Team Acme and the Pelicans, including Acme President Mike Coatney, a Pelicans basketball player, Pierre the Pelican and members of the Pelicans dance team. 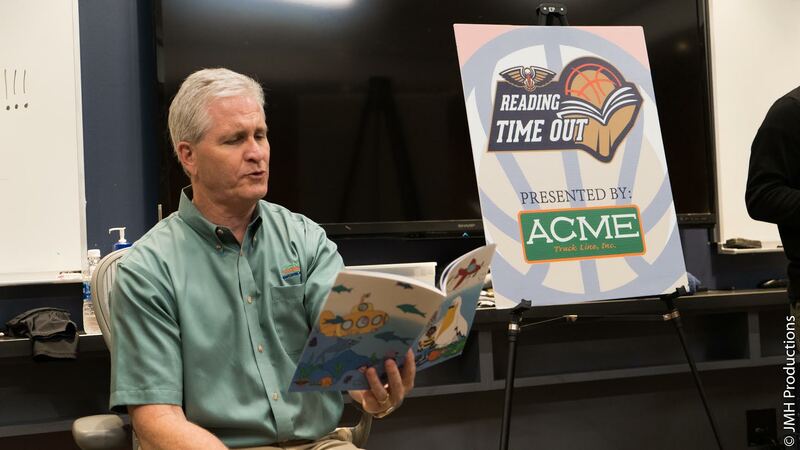 At the end of each Reading Time Out, students receive a book, Reading Time Out stickers and bookmarks along with 2 tickets to a Pelicans game. 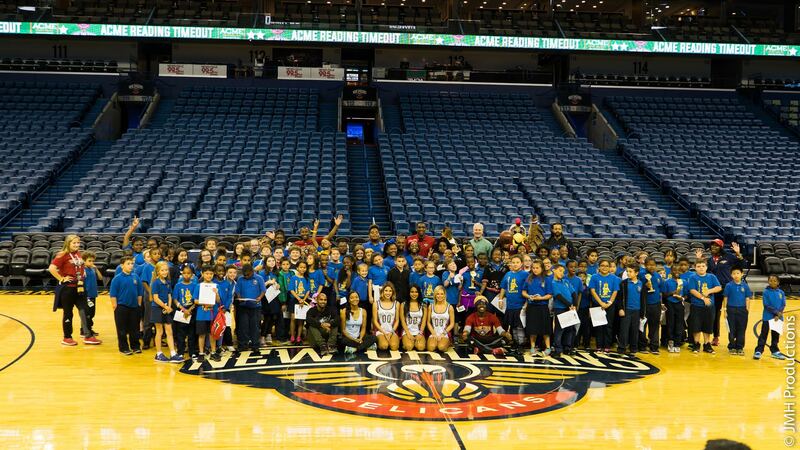 Each year’s final Reading Time Out hosts 100+ students at the Smoothie King Center and go on an “all access“ tour of the Pelicans facilities and get to meet a Pelicans basketball player. Students also visit Reading Time Out stations, such as a cooking demonstration and exercise class that reinforce the importance of reading and it’s real world applications.